The PM2.5 Air Quality Monitor designed with medical-grade standards, and adopt advanced laser technology for ensuring the accuracy of the measurements without the need of calibration. 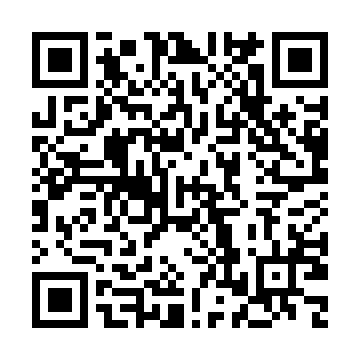 It helps you improve and control your indoor air quality. PM2.5 fine particulate matters (2.5 micrometers in diameter or smaller) which come from power plants/ industrial processes/ vehicle tailpipes/ wood stoves and even wildfires, it is impact your health and can cause respiratory issues such as allergies/asthma/ COPD/ lung cancer etc. 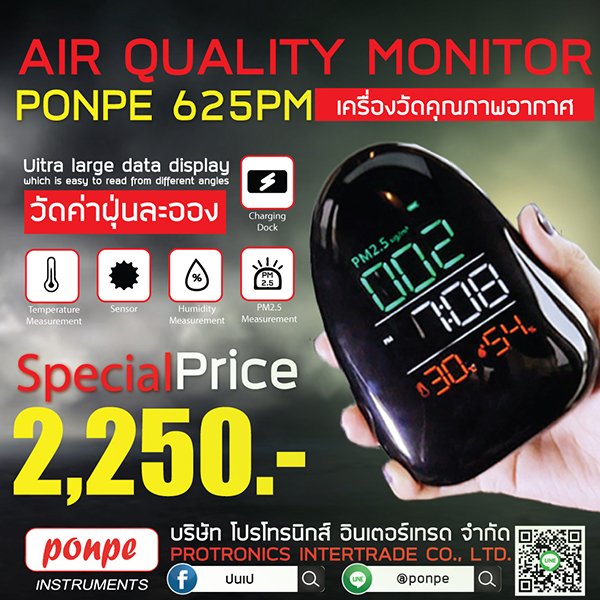 This PM2.5 air quality monitor helps you monitoring the concentration of PM2.5 fine particulate matter, it auto alarms when the PM2.5 level is greater than 100μg and let you know when to turn on your air purifier. 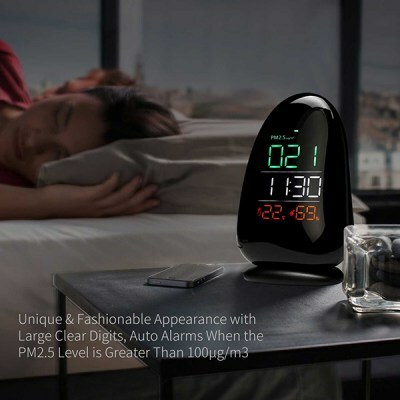 The air quality monitor features unique and fashionable appearance, which matches anything of your room. 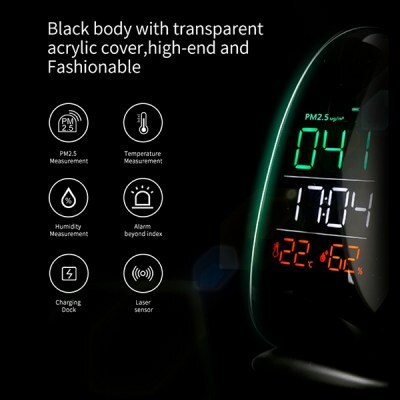 PM2.5 fine particulate matter Level/ temperature/ RH relative humidity and time are displayed on the bright LED display, which with large clear digits for easy readability from anywhere of your room! The digits of PM2.5 change color from green to red when the PM2.5 level is greater than 100μg. 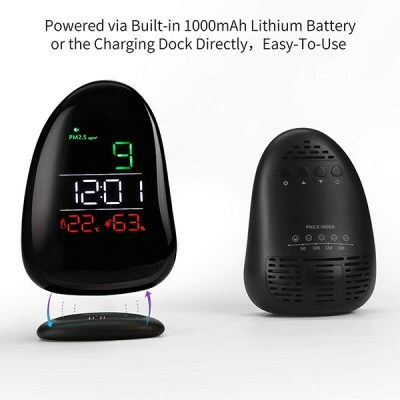 The air quality monitor can be powered via the built-in 1000mAh lithium battery, it takes 6 hours to be fully charged and long-last for up to 10 hours of continuous usage. 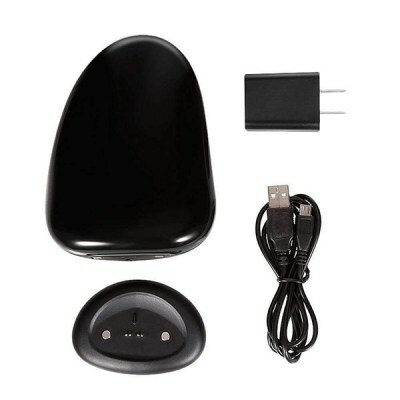 Or simply put the air quality monitor on the charging dock which with USB adapter to charging it directly. -Humidity : 20% to 90%R.H.